The Jesuits are the continuation Order of the Holy Roman Empire. It is now an almost 800-year old covert operations, geo-political, male-only organization, structured as a secret military operation. The reclamation resulted in whole Nations breaking away from Temple Power, the absolute power of the Pope. The Pope claimed to possess two powers represented by two swords on their flags; one sword is spiritual power means that he has the right to dictate religious believe of every human on Earth. The second power is his right, the Temple power, to rule over the government of any nation. This was he exercised during the Dark Ages. When the Reclamation happened, many nations of Europe broke away and formed equivalent of today national sovereignty. When that happened, in 1540, Ignatius Loyola started the Jesuit Order for the purpose of restoring the Temple power of the Pope over the reclaimed Nations of the world, to bring Nations back to the obedient workshop under the papacy rules. After the Renaissance, the struggle for religious and political freedom of the various Reformation movements, during the late Middle Ages and up to the 18th century, some lost terrain had been regained by the Protestant nations, but the losses have been enormous, and much of the authentic spiritual basis of Christianity-like cultures has been erased from the collective memory. Almost none of the numerous Christian 'splinter' churches today acknowledges (let alone communicates) this ancient legacy of Roman Catholic persecution, history falsification and spiritual perversions. Sadly, most of the so called 'Christian' churches today however are still connected to Catholicism - and thereby also the Vatican organization - in various ways, or have been infiltrated and co-opted - mainly by the Jesuits - in many cases. The Vatican institution and its mafia network have always been an fascistic political organization with the cover of a religious organization. The aim is and was population control - in the spiritual and political realm - by any means. These two realms of dominion - the spiritual and temporal - are represented by two crossed keys on the Papal Tiara, which can be seen in many Catholic churches and on the flag of the Vatican. The Jesuit Order actually began with the establishment of the City of London, which is now an 800-year corporation that controls finance from an entity called ‘The Crown’. This entity is the creator and controller of the BIS, the Bank of England, the US Federal Reserve, the World Bank, the IMF, The European Union, and various cartels and corporations across the earth. The Crown Identity is kept most secret, and The Crown Bank of England took and assumed control of the United States during Theodore Roosevelt Administration (1901-1909) when its agents, who were really Crown agents (J. P. Morgan), took over 25% of American business. The Crown has never been the King or Queen of England since the establishment of the corporate body, but the British Monarchy is a figurehead for The Crown, rules parliament in Great Britain and has authority over the Prime Ministers through a Vatican knighthood called the Order of the Garter. The Order of the Garter is the secret inner group which is an elite group within the Order of St. John of Jerusalem which is the British part of the Knights of Malta. The Knights of the Garter are the leaders of the Committee of 300 formed by East India Company. The main shareholders of The Honourable East India Company were all based in protected Switzerland which has been neutral since the start of the creation of the little horn new unHoly Roman Empire back in 1814 with the Congress of Vienna. An invisible Empire commanded by the Priesthood of Baal and Jesuit trained King Juan Carlos of Spain. That's why all the Crown crimes are pointed to their figurehead (The Royals, the White Pope, their puppets) but none of them had been convicted. THE EMPIRE FINANCIAL POWER The City/The Crown Corporation is not subject to British Law; it has its own courts, its own laws, its own flag, its own police force – exactly like the Vatican city state and Washington DC Columbia. The Crown Corporation is also separate from the Metropolitan city; its police drive red police cars and their uniforms are different from the Metropolitan Police. Also, The Crown in London houses the privatized Bank of England and Lloyd’s of London, the London Stock Exchange, and all British Banks. It also houses the branch offices of 385 foreign banks, 70 US banks, as well as Fleet Street newspapers and publishing monopolies. The Sovereign Military Order of Malta (SMOM) or Knights of Malta, are the military arm of the Vatican while the Jesuit Order (IHS=Isis, Horus, Seb), is the intelligence arm of the Vatican and the Jesuit Order controls all the world secret societies trough the umbrella of freemasonry which is international. The Jesuit Order is, since 1814, in complete control of the - obscenely wealthy - Vatican institution. The Jesuits are a military organization, not a religious order. Their chief is a general of an army, not the mere father abbot of a monastery. And the aim of this organization is POWER. Power in its most despotic exercise. Absolute power, universal power, power to control the world by the volition of a single man . . . The General of the Jesuits insists on being master, sovereign, over the sovereign. Wherever the Jesuits are admitted they will be masters, cost what it may . . . The real powerhouse is 114 Mount Street, Mayfair, London W1K 3AH, UK. And let's not forget St Patrick's Cathedral, which is basically across the street from the Royal Institute Of International Affairs, the Tavistock, Rockefeller center and US Embassy. And the real powerhouse of the U.S. is Jesuit Georgetown university. 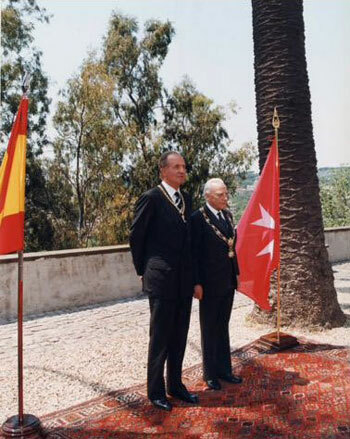 Successor to Fascist Dictator Francisco Franco and Knight of Malta, King Juan Carlos, with Grand Master of the Sovereign Military Order of Malta, Andrew Cardinal Bertie, 2000. “The painful saga of modern Arab-Muslim history evokes the battles fought in Crusades of the 11th century – when the Knights of Malta began their operations as a Christian militia whose mission was to defend the land conquered by the Crusaders.These memories return violently to mind with the discovery of links between the so-called security firms in Iraq such as Blackwater(Xe->Academi) have historic links with the Order of Malta. - Jordanian MP Jamal Muhammad Abidat, from an editorial in the United Arab Emirates daily Al-Bayan entitled “The Knights of Malta - more than a conspiracy”. Abidat describes the role played by the Knights of Malta during the Crusades, and that the Order is playing a similar role in the Middle East today, citing the conflicts in Iraq and Afghanistan. 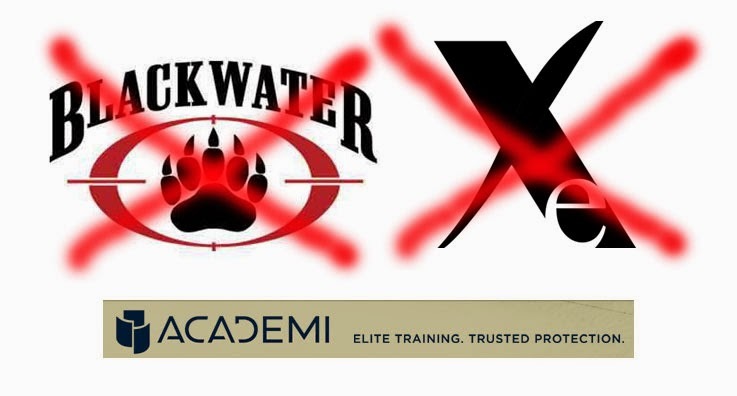 Academi (previously Blackwater than Xe) is more than just a “private army”, much more than just another capitalist war-profiteering business operation. It is an army operating outside all laws, outside and above the US Constitution and yet is controlled by people within and outside our government whose allegiance is primarily to the foreign Vatican state. In other words, Academi (previously Blackwater than Xe) is a religious army serving the Pope in Rome through the Order of Malta, which is itself considered under international law, as a sovereign entity with special diplomatic powers and privileges. Like Academi (previously Blackwater than Xe), the Order of Malta is “untouchable” because it is at the heart of the elite aristocracy. The Rothschilds and their agents, such as the Rockefellers, have been engineering America and its foreign policy almost since its inception. They and their Skull and Bones Wall Street partners staged and funded both sides in WWII, and out of that hellish nightmare was born their infant global government, the United Nations, and their tool of tyranny, the CIA. The father of the CIA, “Wild Bill” Donovan, was a Knight of Malta. In order to be a director of the CIA you must be a crusading Knight of Malta and it doesn’t hurt if you are a member of Skull and Bones either. Such a list should make you sit up and pay attention, but it is only the tip of the iceberg unfortunately. Then we come to another SMOM member, important to what is transpiring in Iraq. Educated at the Jesuit Georgetown University, former Pentagon Inspector General Joseph Edward Schmitz, Blackwater’s operations chief, is a member of both SMOM and Opus Dei. In 1945 the Bank of England was nationalised by the Labour Government, and is allegedly no longer a private bank, although it governs the US Federal Reserve. 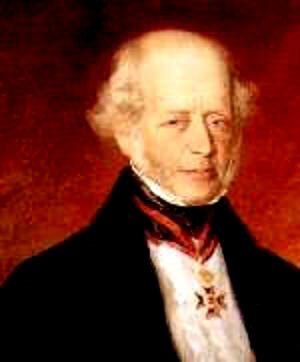 It is ruled over by the Rothschilds, who are bankers for the Pope – guardians of the Vatican Treasury. The City of London also has its own Lord Mayor, different from the current Mayor, who has the power in The Crown Corporation. When the Queen wishes to conduct business in the City, she is met by the Lord Mayor at Temple Bar. Temple Bar and their associate franchises come from what is called the Four Inns of the Temples of Court – the Inner Temple and the Middle Temple. The logo of the Inner Temple is a white horse on the sunburst seal of the Jesuit Order. The white horse is a symbol of the British Empire / Order of the Garter / Crown Corporation, and is the same white horse which is the symbol of the CFR (Council on Foreign Relations). The white horse is a Jesuit symbol – Pegasus. It is the Jesuit Order that governs the Honourable Society of the Inner Temple. The Inner Temple is the core group that governs the City of London Corporation. The colonies of the Earth are really just Crown Colonies – The United States of America are states of The Crown. Our taxes and loan interests are collected via their puppet governments. The City keeps 40% and the Jesuit controlled Vatican gets the rest of 60%. If the government need more money, they have to borrow it again, adding more debt to the already unplayable debt. With that financial cycle, these people fund both sides of major wars, major revolution, many terrorists, drug lords many terrorists, drug lords, decide our economy by boom than bust, control all politicians, religions and armies, create disease and "cures", poison air, water, land, food, our body and mind than complaint us to impose more taxes. The Crown Empire uses commercial law (aka international maritime law, or law of contracts) as its means of control. This law does not apply to sovereign, free men and women. Your name, when spelt out in all capital letters – as in THONE SIHARATH – is a corporation, a trust set up by the government through the treasury department at your birth. Every time a child is born, a corporation/trust is created using his or her name in all capital letters. They do this because governments are corporations and they operate under commercial law, the law of contracts. The laws passed by governments only apply to corporations and not to living, breathing, flesh and blood sovereign-free men and women spelt in upper-lower or all lower case, as with Thone Siharath, or thone siharath. The living, breathing sovereign man and woman is subject to common law, not the commercial law introduced by governments through legislation. There will be foreign war (like “Spelly’s War” in Southeast Asia), invasion, occupation and persecution of the American Protestants and Baptists by foreign armies under the command of Jesuit-controlled dictators (like the Grand Inquisitor — Joseph Stalin). The army presently being prepared to spearhead this massive invasion of the American Empire is that of the Red Chinese in particular. As the main Chinese customers are the trans-Atlantic Region. If you want to understand what's happening in Ukraine and in the Mideast, particularly in Libya, Syria, Iraq, Israel and Iran, you must first understand the main driving force behind U.S. foreign policy. One of their British Empire 4th-Reich real agenda is to protect the Petrodollar system (owned by the same Bank of England, the ECB owners cabals), because it is the only thing that is currently preventing the total collapse of their fiat currency (US$, £, €) against their BRICS 5th-Reich New Economic World Order that includes Russia. The intention is to bankcrupt the 4th-Reich and automatically the 5th-Reich will have to work with the 6th-Reich: ASEAN. This will be the final blow, to individual liberty, national sovereignty and the Protestant Reformation. It will be the greatest victory for the Jesuit General’s Counter-Reformation, restoring the Pope’s “Holy Roman Empire” – founded on a reunited and rebuilt Germany – and returning the world to the Dark Ages.